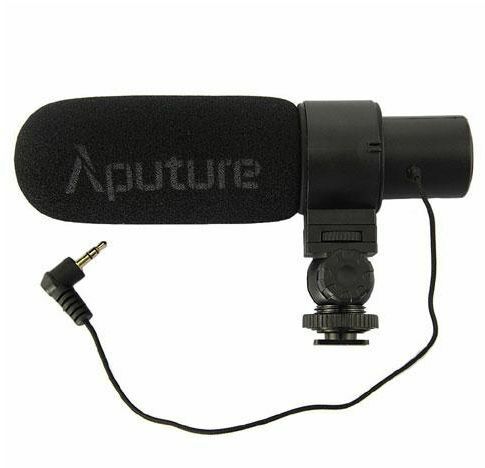 Aputure V-Mic D1 is a directional condenser shotgun microphone featuring a super-cardioid polar pattern, line gradient acoustics, superior isolation,and easily filters out unwanted background noise, vibrations, and low frequencies in order to give you accurate voice input. It also has a low battery indicator, and is equipped with a universal shoe mount, making it suitable for most DSLRs and camcorders. The onboard level control is very convenient and the sound quality is far better than expected for a mic in this price range.